Playing online games is one of the best thing that I do before hitting back to work, doing some blog posts for several hours. When I stumbled upon Conzace’s Facebook App recently, their awesome app, Smackdown, makes me relax and felt like I’m a 4-year old kid playing with some little creature in a bowl. 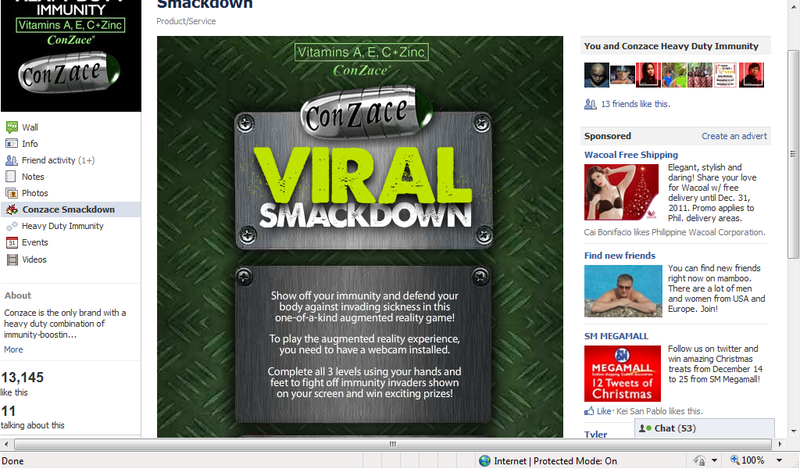 All you have to do is to like Conzace‘s Facebook page. All you need is a webcam and an account on Facebook. Why do you need a webcam for this awesome game? There are three levels that requires you to open your webcam and beat the virus by using your hand in your monitor. On the first level, you have to swat the yellow microbes by using your hand. When I started playing the game, I was totally stunned on how to play this wonderful game. Spending time playing it for hours was like I got back with my childhood. During the second level, I had a hard time to play it. You have to evade the green germs and hit the yellow microbes. I kept on playing it all over again. I have to beat that microbes. 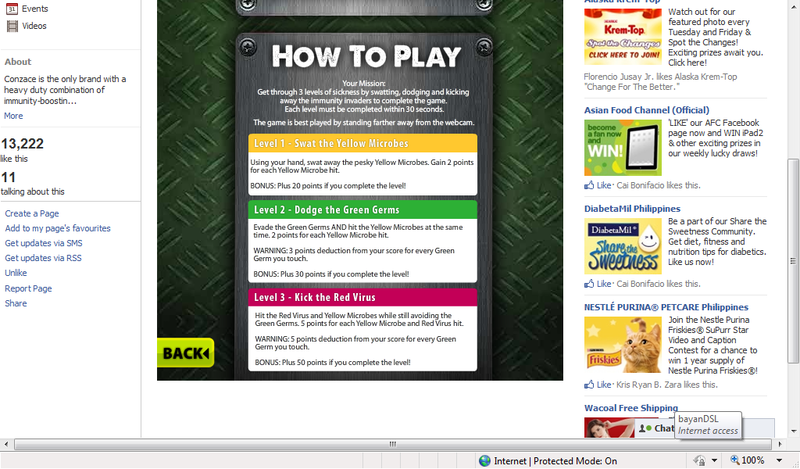 And to the last level, you have to hit the red virus and the yellow one…yet you have to stay away from the green germs! It’s really a virtual world after all!